Need someone to speak at, chair, facilitate or organise a conference or workshop? Please get in touch. 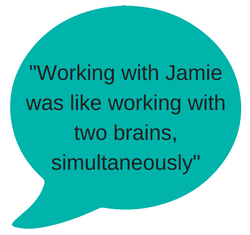 Alongside speaking at or running your events, you can also engage me to run training courses, or coaching, on an in-house basis – or if you require it I can organise a venue for you. October 2018 – Digital marketing lecture for Sheffield Hallam University. September 2018 – Working with the media workshop for Don Catchment Rivers Trust. April 2018 – Chairing and facilitating NEX Exchange workshop for The Wosskow Brown Foundation. March 2018 – Media interview training workshop for Project6 and Sheffield Alcohol Advisory Service. March 2018 – Marketing mentoring at Eden Project Communities’ event, Enterprising communities: Setting up community-owned places & services. January 2018 – Bidding for public sector contracts workshop for Sheffield Social Enterprise Network. September 2017 – Why your business should have a communications strategy – and how to measure the effectiveness of that strategy – Inox Dine, Sheffield. September 2017 – keynote speaker at Good Stories 2017 hosted by RBS/NatWest at their HQ in London and organised by Matter&Co. September 2017 – lecture for Sheffield Hallam University, How to take the con out of consultancy – and why most social media consultants sell snake oil. September 2014 – MADE: The Entrepreneur Festival – chaired and facilitated fringe event for Barclays Bank and Wosskow Brown solicitors, featuring Drop Dead Clothing. I’ve also previously spoken at the Community Development Finance Association’s Annual Conference; run in-house training for an international software business; and organised numerous national conferences. Please get in touch for copies of presentations. Whether it’s trying to secure media coverage or dealing with a hostile interview situation – if you’re well prepared and you understand the needs of journalists and the media, you’re much more likely to get your message across clearly. Different media: broadcast, press, print, online have varied needs and audiences; news coverage and in-depth features or interviews again require appropriate approach. Something that often strikes me as a radio presenter is how often the senior and highly talented figures I interview are incredibly nervous before going live on air. 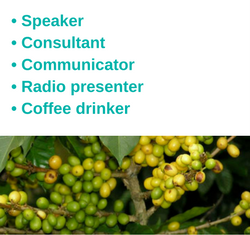 This course is tailored to your requirements and builds on my radio presenting experience, alongside work I’ve done as a spokesperson for clients in live interviews and representing them to the press. Running a social enterprise? Then demonstrating your social impact is essential: you must be able to chart your social outcomes as well as your (easy to measure) economic ones. And the Social Value Act means that all public bodies in England and Wales are required to consider how the services they commission and procure might improve the economic, social and environmental well-being of the area. So if you want to sell to public bodies then you need evidence of your social impact. But where do you start? Social Impact measurement can be daunting. Which framework to use, what do you measure? What about SROI (Social Return on Investment)? This one-day workshop helps to make it easy for you to clearly define your mission, targets, indicators and create a “social impact chain” and impact measurement system you can use. Then it shows you how to use it to support your business: from collecting and analysing your results, to how to review and learn from them – and how to communicate them. “Different approaches will be suitable for different social enterprises but there’s no excuse for not measuring your impact in some way,” David Floyd of Social Spider CIC writing in the Guardian, May 2013. Drawing on my work supporting real-life social enterprises in social impact measurement through the Sheffield Community Network, this practical course will enable you to easily embed social impact measurement in your social enterprise. Help! Twitter, facebook, linkedin…and other social networks – should you engage, if so how? How do you develop and implement a social media marketing strategy without it taking over your life? Where do you start, how do you measure the effectiveness of your engagement, and what are the top tips to ensure your strategy is effective? This course shows you! Selling terrifies people – even passionate business owners and social entrepreneurs. It’s vital for everyone in a small business or social enterprise to know how to sell effectively. This course gives you a toolkit to get on with developing your business in confidence. It’s based on my experience of business development – from sales executive to managing director level. At Trinity Mirror I was twice crowned ‘salesperson of the year’ and rose to a position of group sales and development manager, responsible for a portfolio of 8 products including magazines, an exhibition and an award scheme. As launch sales director (and co-founder) for New Start magazine I was responsible for growing sales from zero to nearly £1m per year within the first 2 years of launch. And I’ve subsequently secured high-value sponsorship deals and continue to do so on behalf of clients. What’s the difference between a social enterprise and any other kind of business? How do you setup a social enterprise? Covering legal structures, governance, and a healthy dose of ‘how-to-do-it’ business startup advice, this course will show you. For small businesses and for social enterprises. A focused, practical, hands-on course, getting to grips with your business goals and objectives and outlining how to direct your marketing efforts to achieve them. This course is tailored to you, and you will leave with an integrated marketing and communications plan – and the knowledge of how to implement it! I’ve delivered (bespoke, tailored) versions of this workshop for MBA students from KAIST College of Business, in an accelerator programme hosted and run by The University of Sheffield in January 2016. I’ve also delivered this for the Yorkshire Venture Philanthropy programme (with Andi Stamp) and varied private clients. Nobody’s perfect, though business gurus like to pretend otherwise! I’m certainly not. Despite winning numerous industry awards in businesses I have run, I have a wish list full of “if only I’d done that”. This irreverent, funny but highly focused workshop is aimed at social enterprises and small businesses. It will enable you to learn from my experiences and mistakes without having the pain of making them yourself. I love helping people to unlock their talents and develop their skills. Please, get in touch for a chat about your training or coaching requirements.